Call 215-259-5953 to schedule your first appointment. Your ability to hear is an important part of your life, so you might feel lost if it starts to fade. The good news is that hearing aids can be used to improve your hearing and help you reclaim your social life. 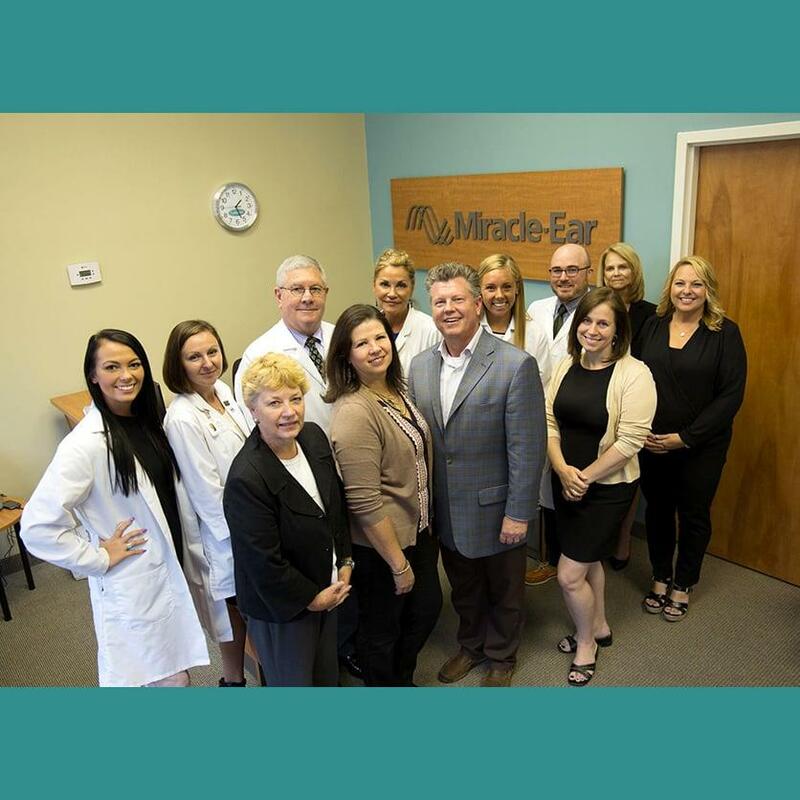 If you’re struggling to understand people or you're constantly feeling as though the people around you are mumbling, then see what Miracle-Ear® in Lansdale, PA, can do for you. We'll offer excellent service, top-of-the-line hearing solutions, and ongoing support that you can count on. In the past, you may have gone into a hearing aid center and come out with a generic hearing solution that simply magnified sounds. Today, you can choose hearing aids with GENIUS™ Technology for a binaural listening experience with VoiceTarget 360 and Directional Focus. We also offer remote controls so that you can easily and discreetly change channels or adjust the volume, and our MEBluConnect Remote app* will allow you to connect your hearing aid to electronics like smartphones, televisions, and MP3 players. The result is a more pleasant experience with a far more versatile hearing aid. We’re America’s most recognized brand of hearing aids, and we hope that you’ll benefit from our modern technology and smart options. Our hearing aid center is independently owned and operated, but we’re backed by more than 1300 locations nationwide. We offer free hearing tests† to people throughout Colmar, Line Lexington, North Wales, Worcester, Lansdale, and the surrounding areas, so give us a call today and see how Miracle-Ear can help you. 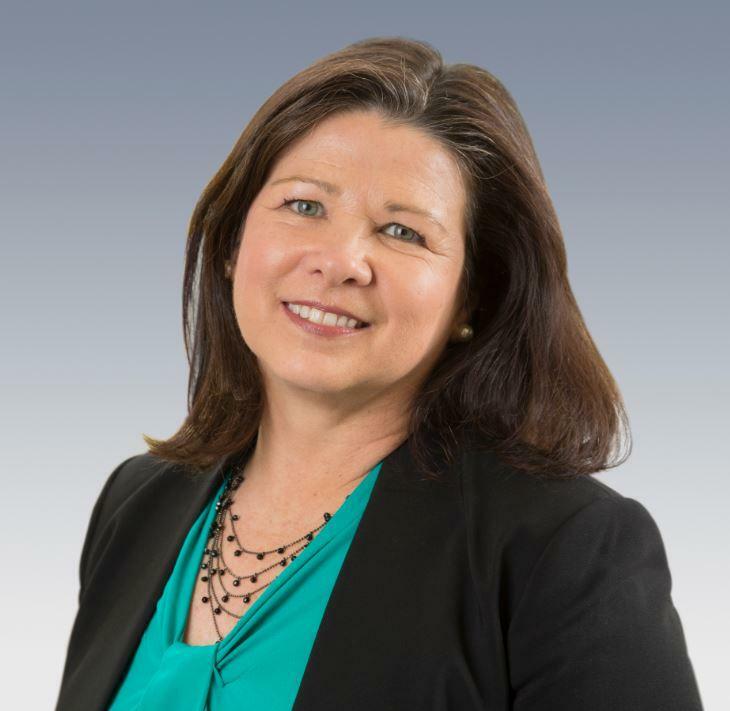 Our Team Hear Clear Inc.
Maria Rafferty is the director of operations for Hear Clear, Inc. (DBA Miracle Ear). With five locations throughout Bucks and Montgomery Counties in Pennsylvania, Maria is responsible for overseeing the daily operations of each Miracle Ear center. Maria is proud to be part of a team that strives each day to transform customers' lives through the miracle of better hearing. If you ask Maria what she likes most about her job, she will tell you that she enjoys her interactions with both customers and the amazing, caring professionals that work at each Miracle Ear location. She is inspired not only by her team's desire to meet and exceed the hearing needs of their customers, but by the many things working at Miracle Ear has taught her, including that there are opportunities to learn something every day while having fun and really making a difference in the lives of others. In her free time, Maria enjoys running, scrapbooking, going to the beach and hosting large family gatherings. Maria has a Bachelor's Degree in Nursing from University of Connecticut and worked as an oncology nurse before joining the Miracle Ear team in 2014. She and her husband Brian live in Doylestown and have five children. Brian Rafferty is the president and owner of Hear Clear, Inc. (DBA Miracle Ear). 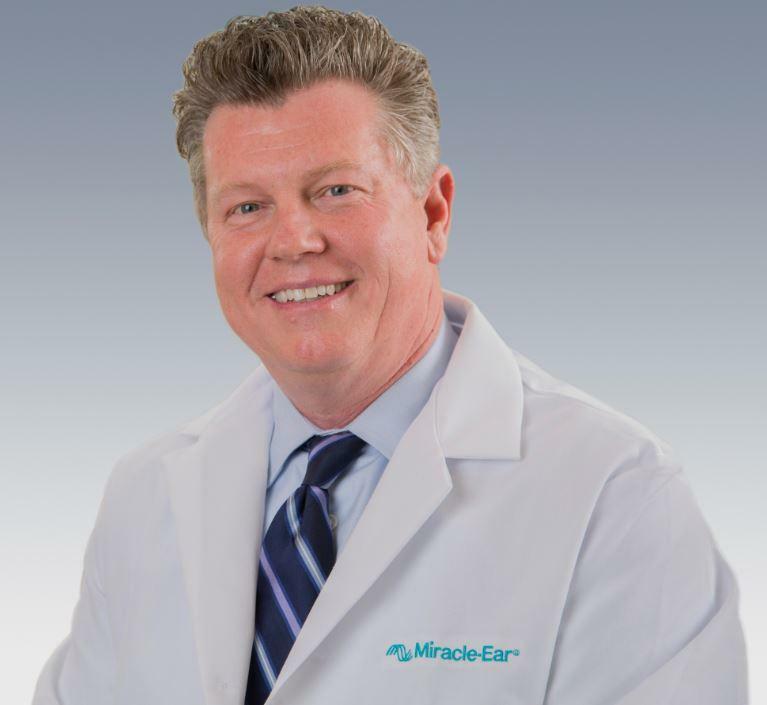 With five Miracle Ear locations throughout Bucks and Montgomery Counties in Pennsylvania, Brian's responsibilities include guiding and overseeing the daily operations and future growth of each Miracle Ear center as well as the education and betterment of his team of professionals. Brian's commitment to the Miracle-Ear brand and to each customer are evidenced through his dedication to having a courteous, knowledgeable and well-trained staff. From sales training to professional certifications, Brian believes that a well-educated staff can do more than just help sell products - they can change lives. Brian finds the greatest satisfaction in seeing customers' lives transformed through the miracle of better hearing and in being associated with an energetic and talented group of teammates. Brian has a Bachelor's Degree in Pharmacy from Rutgers College of Pharmacy and worked for Eli Lilly & Co. as a Senior Director of Sales and Marketing before launching Hear Clear, Inc. in 2013. He is married with five children. In his spare time, Brian enjoys sports of all kinds, especially football, baseball, and golf. When he is not working, Brian can often be found reading non-fiction books, volunteering with Boy Scouts of America or Our Lady of Mount Carmel Church, barbecuing or spending time with family, friends and his Wheaton Terrier Zoe. Scott is so knowledgeable and professional, ready to answer questions and make sure everything is just right. Thank you for an absolutely First Class experience. I just wanted to say Miracle-Ear has been just that, a "miracle", for my father. He had been having so much trouble hearing and speaking on the phone, that we HAD to get him help. We are so happy with Miracle-Ear. My father now enjoys talking to the neighbors and talking on the phone. He is so happy he can understand and hear what people are saying. Scott at Miracle-Ear is the best. It's a Miracle! My wife and I would like to express our complete satisfaction with the new Miracle-Ear hearing aids which Eleanor recently purchased. The improvement in her hearing has been remarkable! We especially want to express our deep thanks to our Miracle-Ear Consultant who performed his work so proficiently and courteously. His patience and expertise in making adjustments was indeed appreciated. We would highly recommend Miracle-Ear to all. I had doubts about upgrading my hearing aids at my age of 89 years. My favorite saying is, "Take a chance." And that is what I did! The advanced technology in my new hearing aids is fabulous. The automatic voice recognition feature is amazing and the auto adjust “normal to phone to normal” is unique. Am I happy that I "took this chance?" Without a doubt! My hearing has improved beyond my belief. Thank you, Miracle-Ear! I had cheaper hearing aids from a competitor and even after having them repaired and adjusted, they were not doing a very good job of helping me to hear. My wife convinced me to try Miracle-Ear and the aids I got from Miracle-Ear have made a world of difference in the way I hear. Getting out of the car when I arrived home, I could hear the birds chirping in the trees, a sound I have not heard in a very long while. Later that day, I put on the television and had to immediately turn it down... it was too loud!! No wonder my wife was always complaining and asking me to turn the television down. The decision to get aids from Miracle-Ear has changed my life. I am able to go out to dinner with my friends and hear all the conversation. I can now attend meetings and hear what is being said. Thank you, Miracle-Ear, for giving me my life back... one that I had not realized I lost until I got my new Miracle-Ear Aids. I recently received my Miracle-Ear hearing aid, and I truly feel as if someone had turned the clock back ten years. My biggest problem had been on the phone, and now I’m hearing everyone so much better and it feels totally natural. I am not even aware of the aid being in my ear, and since it’s not visible, even with my short hair, is icing on the cake. I need to always be aware of my surroundings, and this surely helped. I could not be happier. My life has truly been enhanced. I am delighted to be alive at this time when all of this technology is available, and I would be foolish not to take advantage of it. My senses are now working at 100%, and I thank God for the feeling of well-being that I have achieved with these hearing aids.